eight + = thirteen Required Please enter the correct value. Most of the stocks on this dividend list are energy-related trusts, which provide profits from gas and oil wells directly to shareholders. This arrangement can shield the trusts from certain corporate income taxes. However, we don't recommend buying shares of the companies listed above. The yields make these stocks tempting to own when compared to the 1.91% dividend yield of the S&P 500, but the quarterly dividends can fluctuate wildly because of volatile energy prices. When gas and oil prices are low and production decreases or wells dry up, dividends are reduced. For example, the SandRidge dividend was cut from $0.57 to $0.37 when oil prices dropped 47.4% between February 2014 and February 2015. That's a decrease of 35.1% in dividend payouts in just one year. 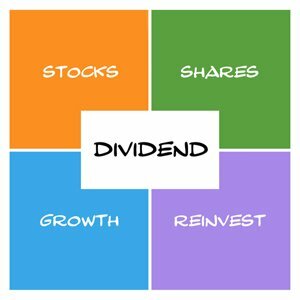 You see, the best dividend stocks to own are ones that outperform the markets and provide stable dividend payouts. And Money Morning Director of Technology & Venture Capital Research Michael A. Robinson recommends one dividend stock that does both. It's a dividend aristocrat that has increased its dividend payout for 25 consecutive years, and Robinson believes it's currently undervalued because analysts aren't evaluating the stock accurately.